Introduced in 1986, the highly successful Quebec Immigrant Investor Program (QIIP) offers qualified high net worth individuals and families worldwide the opportunity to immigrate to Canada through the Province of Quebec. With the recent closure of Canada's Federal Immigrant Investor program, the exclusive QIIP is the only Canada investor visa of its kind currently available to international business people, and it boasts the exact same investment standards as the former federal program. According to the Reputation Institute, Canada is the "most admired" country with the "best reputation" in the world, and the modern and safe nation offers immigrants a fantastic quality of life in a pluralistic society, all at an affordable cost of living. Successful Quebec Investor Program candidates will be granted an unconditional Canada Permanent Resident Visa and may immediately start living, working and doing business anywhere in the country. Children of new investor immigrants may also promptly begin studying in Canada, and can apply to local schools and universities as a Canadian resident as opposed to a foreign student. UPDATE: The Quebec Immigrant Investor Program will reopen for new applications from May 29, 2017 until February 23, 2018. The program will only accept a maximum of 1900 applications during this limited intake period, so we strongly encourage you to act fast. In order to be admitted into the Quebec Investor Program 2018, foreign investors must have a legally obtained minimum net worth of CAD $1.6 million (or its equivalent in a foreign currency), either individually or combined with their spouse or partner. Assets that may be included when calculating net worth include real estate, bank accounts, stocks and bonds, as well as pension funds. Under the Quebec program for investors, inherited assets are classified as legally obtained, however, donation or inheritance money must have been received at least six months prior to launching a QIIP application. As of January 2018, $1.6 million Canadian dollars is equivalent to approximately USD 1.3 million, EUR 1.1 million, or CNY 8.5 million. Applicants for Canada investor immigration must sign an agreement stating their intention to make a government guaranteed CAD $800,000 investment in Quebec through a financial intermediary authorized to participate in the QIIP. This prescribed investment in a five-year term note is fully and unconditionally guaranteed by the Government of Quebec, and in accordance with the provisions of the program, the money is returned in full after five years with 0% interest. Please note: this passive investment does not have to be made until after an applicant is approved in principle for investor immigration to Quebec, so there is no risk of making the investment only to be later refused a Canada investor visa. Over the last decade, a significant percentage of the Quebec and Canada Immigrant Investor Program participants have financed their investment in the country. Investors who do not wish to liquidate assets in order to come up with the required C$800,000 can finance the investment through an authorized Canadian financial intermediary for a one-time loan payment of ~$220,000 CAD, which includes all interest and fees. This means that as of January 2018, the "true cost" of obtaining a Canada investor visa is only around 175,000 American dollars, 1.2 million Chinese Yuan Renminbi, or 150,000 euros depending on the exchange rate. The Quebec-based law firm we work with exclusively has excellent relationships with reputable financial intermediaries who regularly loan to Canada investor immigration clients, allowing us to facilitate the financing of your investment at highly competitive rates should you choose to retain our professional services. Investments must be made in full within 110 days of being approved in principle for a Canada investor visa, so working with a law firm that has existing relationships with major financial institutions in Canada can make meeting this deadline less stressful. Please note: the current walk-away price of financing the $800,000 investment fluctuates between C$200,000 and C$240,000 according to interest rates, so we are unable to state a precise amount on our website. Immigrant Investor Program applicants must intend to settle in Quebec, the largest province in the country by size and second largest by population, accounting for almost 1/4 of Canada's 35 million people. Quebec is a vibrant and prosperous society built upon egalitarian beliefs that is incredibly welcoming and diverse. Although investor class immigrants and their families are allowed to settle in any city in Canada, the tremendous quality of life in Quebec makes the province highly popular among newcomers to the country. Montreal, the largest city in Quebec, is a modern and dynamic city with exceptional shopping, restaurants, and nightlife, as well as some of the best hospitals and healthcare facilities in the nation. The education system in Quebec is first rate, and the province is home to world-class schools such as McGill University. Although Quebec is predominantly a French-speaking province, English is commonly spoken in Montreal especially within the city's business community. The astounding multiculturalism of Montreal also makes the city immensely inviting to new immigrants, and the province is famous for having some of the cleanest air and water in the entire world. The Quebec Canada Investor Program requires primary applicants to have acquired at least two years of full-time business management experience in the past five years. Qualifying business management experience for the purposes of investor immigration to Canada must involve some portion of the management, planning, and control of both the financial side and the human or physical/material resources side of the enterprise or organization. Examples of appropriate management experience include commercial business, professional business (provided the private enterprise or partnership had 2 or more full-time employees excluding the applicant), NGO, agricultural (farm management), foreign government department or agency, international organization, or industrial management. Quebec immigration authorities will only consider business experience that was legitimately attained while the applicant had proper work authorization or legal status - unauthorized work experience does not count. In addition to the above selection criteria, Canadian investment visa adjudicators who evaluate Quebec investor stream immigration applications will also consider factors such as age, education, adaptability, language proficiency, and work experience when making an assessment of a candidate's file. A skilled Canada immigration lawyer with extensive experience preparing Quebec Investor Program applications can ensure that a client's file effectively communicates every attribute he or she possesses that could potentially strengthen their application. Before moving to Canada, all persons included under an investment visa Canada file must also pass a medical exam as well as security and criminal checks. Many people confuse the former Canada Immigrant Investor Program with the current Quebec immigration program for investors. Although both economic citizenship programs were extremely similar with identical investment and net worth requirements, only the Quebec Investor Program is currently operating as a gateway to Canada for wealthy business people holding citizenship from any country. In February 2014, the Canadian government announced the cancellation of the highly popular Federal Immigrant Investor Program (FIIP), slamming the door on 59,000 applicants whose pending files were instantly canceled. Many of these former candidates from the federal program are still interested in obtaining Canadian citizenship by investment, however, and consequently, the next Quebec Investor Program opening may reach capacity very shortly after it commences (this latest QIIP intake period will only accept 1900 applicants). Step 2: If any supplemental documentation is not in English or French, law firm will help arrange the certified translation of the documents by an accredited translator. Please note: Canadian immigration authorities will only accept certified translations signed or stamped by professional translators with verifiable credentials in Canada. Otherwise, translated documents that are not accompanied by an affidavit swearing to the accuracy of the translation, as well as the proficiency of the translator, will not be recognized. Step 3: Lawyer completes investor visa Canada application form as per government guidelines, and organizes all supporting documentation. Step 4: Client reviews their investor file and signs QIIP application form as well as power of attorney mandate allowing law firm to communicate with the Government on their behalf. Step 5: Lawyer formally submits signed application and supporting documents to Immigration Quebec for initial processing. The CAD $15,111 Government application fee is due at this point, and must be paid via Canada Post money order or a bank draft drawn from a bank with a presence in Canada. Please note: this Government processing fee may be subject to a small increase in 2019. Step 6: Incomplete applications are returned to the candidate. Adequate applications are added to the processing queue and an official QIIP Acknowledgement of Receipt is sent to the applicant. Step 7: Quebec immigration authorities review the application to ensure client satisfies all investor category immigration Canada requirements including minimum legally obtained net worth and business management experience. Step 8: Applicants who meet the selection conditions and criteria of the Immigrant Investor Program (IIP) will be scheduled for a personal interview with a Quebec immigration officer. Within ten business days of being scheduled for an interview, candidates must submit updated documents and forms to Immigration Quebec personnel, along with any other additional documentation that may support their application. Lawyer works closely with client to ensure revised documentation accurately reflects his or her current financial situation. Lawyer will also personally prepare client for their interview, which includes an extensive one on one coaching session. If necessary, a qualified interpreter will be present to assist with this interview preparation. Please note: in certain situations, the personal interview may be waived by immigration authorities in which case the client will receive an official interview waiver notice. Step 9: Upon the completion of a successful personal interview, Quebec investment immigration staff will approve client in principle and send them detailed wire transfer instructions. Step 10: Client has a maximum of 110 days to successfully send funds of CDN $800,000. Clients financing the investment through an authorized financial intermediary of the Quebec Investor Program must wire transfer the up-front loan cost of approximately $220,000 within this timeframe. Step 11: Upon receipt of the full $800 thousand investment, business immigration officers will issue a "Quebec Selection Certificate" or "Certificat de Sélection du Québéc", which is commonly referred to as a CSQ. The issuance of a CSQ signifies the applicant's approval at the provincial level, and his or her file is then handed over to the Centralized Intake Office (CIO) of Citizenship and Immigration Canada to be processed at the federal level. Federal processing fees are due at this time. Step 12: Once Canadian visa authorities have assessed the investor application, medical instructions are issued to the client. If applicable, client, as well as their accompanying family members, must undergo a medical examination performed by an Immigration, Refugees and Citizenship Canada (IRCC) approved physician. Step 13: Once the results of the medical exam are received by business immigration officials, successful applicants and their families are fully approved for Canadian investor visas. At this time, a formal request for the passport of each person included under the investor application is given for the purposes of issuing the visa. The Right of Permanent Resident Fee (RPRF) is now due. Step 14: A Canada business visa for investors is issued to the primary applicant and each accompanying family member. The investment visa will contain an expiry date, which is the last day a person can use it to gain entry to Canada for permanent immigration. After arriving in the country, Canadian investor visa holders will receive a permanent residence card (Canada PR Card) which can be used to leave and re-enter the country at will. The amount of time required to process a Quebec immigration investor file depends on an assortment of factors, principally the current volume of investor applications in a candidate's geographic pool. Provincial processing times - It typically takes 9 to 12 months for an investor category applicant to receive a Quebec Selection Certificate (CSQ) representing Quebec approval. Federal processing times - After receiving a CSQ, it then takes approximately 3 to 4 years for the file to be processed federally by Citizenship and Immigration Canada (CIC). As of January 2017, the official Quebec Immigrant Investor Program processing time listed on the CIC website was 40 months. Based on the historical average processing time, a Quebec Investor Program 2018 applicant should receive a Canada investment visa within five years. We believe 2018 QIIP processing times will actually be significantly faster than this, however. Quebec has recently updated their economic immigration rules to limit the number of applications they receive across entrepreneur, investor, and self-employed immigration categories. This should reduce the number of files that must be processed by the Government. Citizenship and Immigration Canada has also changed the way they process some immigration applications. Previously, CIC processing times for many services would vary greatly between regional visa offices. For example, Quebec investor files were processed more than twice as fast in Mexico as they were in the United Arab Emirates (UAE). As of January 2016, however, the CIC now has the ability to move applications between visa offices around the world to ensure they are processed with maximum efficiency. This means your 2018 Quebec Immigrant Investor Program application may not be processed at the visa office closest to where you live, but may be processed more efficiently. It also means there is no more country-specific QIIP processing times viewable online, as the CIC now only provides a single Quebec Investor Program processing time estimation for all countries. Business people who demonstrate advanced intermediate French language skills, by means of a standardized proficiency test recognized by the Government of Quebec, can often apply for the Canadian Immigrant Investor Program year-round. In addition to being able to apply before or after a designated intake period, investor candidates who speak French are also provided priority processing and are not subject to the program cap of 1900 applications. The Quebec Investor Program 2018 is one of the most coveted citizenship by investment programs in the World, and the additional benefits available exclusively to French speaking applicants make it by far the top investment immigration program in existence for Francophone business people and managers worldwide. Why a Quebec Immigration Lawyer? Although there are many foreign consultants offering discount immigration services, retaining the services of a licensed immigration attorney in Quebec has many advantages. First and foremost, the level of expertise related to Quebec investment immigration offered by an experienced Quebec-based lawyer simply cannot be beaten outside of Canada. Foreign consultants typically offer a range of citizenship by investment and investment immigration services in a variety of countries around the world, yet frequently outsource much of the actual legal work required to outside contractors. Directly working with an immigration lawyer in Quebec that knows the Investor Program inside and out ensures that your file will be highly optimized for success and that you will be guided through each step of the process in a professional, effective manner. Getting approved for a Canada investment visa by way of the Quebec Investor Program 2018 is not easy, and incomplete or inconsistent applications can be refused without request for additional documentation or information. The application requirements for the Investor Program in Quebec are more comprehensive than those of many Caribbean economic citizenship programs, and the requisite documentation can easily overwhelm a person inexperienced with the process. One of the most rigorous and demanding elements of the investor application is the detailed chronological narrative demonstrating the lawful accumulation of the applicant's financial assets. An immigration lawyer in Quebec with extensive experience handling files for business immigration to Canada will genuinely understand the immense level of detail needed to substantiate this critical QIIP provision comprehensively to procure a successful result for the client. According to official statistics, 76% of applications for Canadian investor immigration are refused, which means the success rate is only 24%. If you are serious about moving to Canada as an economic immigrant, we strongly encourage you to hire an experienced Quebec investor immigration attorney. Please note: the 2019 acceptance rate is widely expected to increase, as each qualified financial intermediary is now assigned a quota limiting the number of clients they can service, which will likely reduce the number of "weak" applications being submitted. How Many Applications From China Will Be Accepted? The Quebec Government has specified that no single country should account for more than 70% of the program's applicants, and consequently a maximum of 1330 applications will be accepted from China (including Hong Kong and Macao). This stipulation will make it easier for non-Chinese nationals to be selected for processing since heavy demand from China will not be able to cap the entire program as soon as the intake period begins. Individuals and families that immigrate to Canada by way of Quebec investor visa can eventually obtain Canadian citizenship after living in the country for 48 months. To be eligible for citizenship in Canada, applicants must have been physically present in the country as a permanent resident for a minimum 1460 days (four years) during the six years immediately before their citizenship application is filed, provided all other required conditions are fulfilled. Once a permanent resident of Canada obtains Canadian citizenship, they are eligible to apply for a Canadian passport. One of the most valuable travel documents in the World, 172 different countries offer Canadian passport holders visa-free or visa-on-arrival access. Since many Quebec investors end up becoming citizens of Canada, some people casually refer to the QIIP as a "Canada citizenship by investment program." Although this is not an inaccurate description, many investment citizenship programs in Europe and the Caribbean essentially allow people to buy citizenship with no residency requirement. Since you cannot buy Canadian citizenship through the Quebec Immigrant Investor Program, the term "Canadian citizenship by investment" is a pretty big stretch given the minimum four year residency requirement in order to become a citizen. "Canadian residency by investment" or "Canada immigration by investment" are much more accurate descriptions of the QIIP. 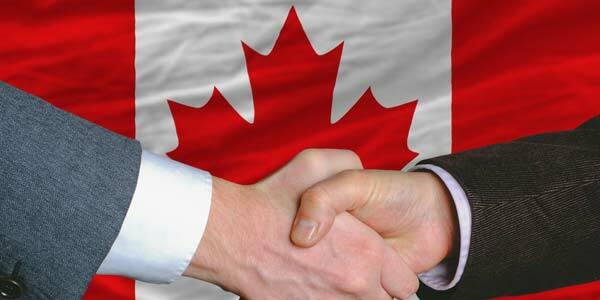 How Does the Immigrant Investor Program Benefit Quebec? Funding made available by the Quebec Canada Immigration Investor Program directly helps support small businesses in the province. Through Investment Quebec, funds obtained under the QIIP provide subsidies to Quebec companies with net assets less than $35 million who are seeking financial assistance with local projects. Over the past decade, Investment Quebec has supported the development of small and medium-sized enterprises (SMEs) by authorizing financing grants of more than $500 million across all regions of Quebec, fueling job creation and boosting economic development. Revenue generated by virtue of the Quebec Immigration Investment Program also funds the Employment Integration Program for Immigrants and Visible Minorities (PRIIME), a strategic initiative that helps many new Canadians enter the Quebec job market as tradesmen. In addition to the numerous economic benefits, the Immigrant Investor Program directly contributes to the Province of Quebec, many people who gain admission to Canada as investor immigrants also end up opening successful businesses in their communities, which further benefits the local economy. Under the Canada-Quebec Accord on Immigration, the Province of Quebec controls and operates its own immigration system including establishing requirements and selecting candidates. Accordingly, all businessmen or businesswomen who intend to come to Canada as a Quebec-selected investor must deal directly with the responsible provincial immigration office. The Quebec Immigrant Investor Program is operated by the Ministère de l'Immigration, de la Diversité et de l'Inclusion (MIDI), and is administered by IQ Immigrants Investisseurs Inc., a subsidiary of a Quebec government agency. To learn more about Quebec investment immigration policy and legislation, you can visit the official Quebec immigration website here. Tax rules in Canada offer unequivocal advantages to many immigrants that can enable them to increase their assets more efficiently. Canada does not have a wealth tax or inheritance tax, and individuals who are accepted for immigration to Canada through Quebec's Investor Program have the opportunity to establish an offshore trust before moving to Canada, which can allow them to defer paying income taxes for up to five years. Canadians enjoy more favorable income tax rates and corporate tax rates than residents of most other countries in the West, and Canada has signed tax treaties with dozens of countries around the globe to avoid double taxation of its citizens. Canadian citizens and Canada PR card holders who are considered a non-resident of the country for tax purposes can also avoid paying tax on income derived from outside of the country. The law firm we work with exclusively has relationships with Canadian-based international tax planning experts that can provide foreign investors with detailed information about the potential tax implications of obtaining a Canada investment visa. Can I Bring My Adult Children to Canada? A few years ago the Government of Canada modified the country's Immigration and Refugee Protection Regulations, changing the definition of "dependent child" to no longer include children 19 years of age or older who are studying full time. Immigration, Refugees and Citizenship Canada (IRCC) changed this definition again in October 2017, and a dependent child is now considered a child who is less than 22 years old and not a spouse or de facto spouse, or an adult child that is financially dependent on their parents due to a mental or physical condition. To determine a child's status under the QIIP, ages are "locked-in" on the date a business immigration file is submitted to the Quebec Government for selection. Any documentation required for investment immigration to Canada that is not in English or French must be accompanied by the accurate English or French translation. Investment visa Canada applicants are not permitted to translate documents themselves, however, and translations can also not be done by members of the applicant's family. Excluded family members include parents, grandparents, siblings, spouses, guardians, common-law partners, children, aunts, uncles, first cousins, nephews, and nieces. In order to be acknowledged by Canadian immigration authorities, the document translator must be a member in good standing of a Canadian organization of translators and interpreters. Otherwise, the document must be accompanied by an affidavit sworn in the presence of a notary public to be authentically translated by a linguist fluent in both English or French as well as the unofficial language. In Canada, affidavits can also be sworn in the presence of a commissioner of oaths or a commissioner of taking affidavits. Is Canada the Only Western Country to Offer Investment Citizenship? An increasing number of Western countries are courting wealthy foreigners from the developing world with economic citizenship programs. The United States has the EB-5 Green Card by investment program, while the UK Tier 1 Investor Visa and Australia Significant Investor Visa (SIV) enable high net-worth individuals to obtain residency by investment in the respective country. There are a number of European countries that offer citizenship by investment including Austria, Hungary, Cyprus, Bulgaria, and Malta. Greece, Spain, and Portugal all have Golden Visa programs which offer EU residency through investment in property, and many other European Union countries such as Latvia offer resident permits in exchange for foreign direct investment. There are also a variety of second passport by investment programs in the Caribbean offered by poor island nations such as St Kitts and Nevis, Dominica, Antigua and Barbuda, and Grenada. When it comes to comparison shopping second citizenship by investment programs, however, no country in the World offers better value than the Canada Investor Program, particularly if the prescribed investment is financed. The weak Canadian dollar has made the 2018 Quebec Investor Program even more lucrative. In general, Canada offers superior multicultural integration, a higher quality of life, lower crime rates, better hospitals and schools, larger wages, more prestigious universities, cleaner air, a more powerful passport and valued citizenship, and a stronger economy. With a stellar reputation, no age or language requirements, and a "walk-away price" of only ~$175,000 USD thanks to the loan option, the Quebec Investment Program simply cannot be beaten by any other country. There are no restrictions on dual citizenship in Canada. This means that participants in the Immigrant Investor Program that end up qualifying for Canadian citizenship will not be forced by the Government of Canada to give up their current citizenship in order to obtain a second passport. The Immigrant Investor Program in Quebec has no restrictions on an applicant's language, education, nationality, or age, other than that the principal applicant must be at least 18 years old. While many countries require a foreign national to speak English and be below a certain age, such as 45, in order to qualify for an investment visa, Quebec investor class immigration applicants face no such constraints. Consequently, immigration to Canada through investment is possible for anyone that satisfies all the standard citizenship by investment Canada criteria under the Quebec Investor Program. Does Quebec Residency Fall Under Canadian Residency? Yes, all residents of Quebec are also residents of Canada and therefore enjoy the same benefits as people living in other parts of the country. One of these perks is the ability to move to and take up residence in any province in Canada, as guaranteed by the Canadian Charter of Rights and Freedoms. There is no such thing as a Quebec residence card - individuals that immigrate to Canada under the Quebec program for immigrant investors are given a Canadian PR card that is recognized from coast to coast. Foreign nationals that do not meet the $1,600,000 net-worth requirement of the province's Investor Program may be interested in the Quebec Entrepreneur Program. Only requiring net assets of CAD $300,000 as well as two years of experience running a business, the Entrepreneur Program provides a path for fast Canadian immigration to foreigners who create or acquire a business in the province. There are two main distinctions between the Entrepreneur Program and the Investor Program in Quebec. First, the Quebec program for entrepreneurs only admits people to Canada under a conditional visa that requires the applicant to actively manage a qualifying local business. Not only does the entrepreneur have to own and control at least 25% of the company's capital equity with a value of at least $100,000 CAD, they must also regularly report to immigration authorities as they work to fulfill all the qualifying business conditions. The Canadian investor visa available through the QIIP, on the other hand, contains no such conditions whatsoever and does not stipulate any special obligations once landed in the country. Second, applicants with senior management experience that does not include ownership do not qualify for Quebec business immigration under the entrepreneur stream, while similar experience may make them eligible under the investor stream. Entrepreneur Program Quebec applicants must also defend a business plan during their selection interview, which involves outlining the relevancy and feasibility of the project to immigration authorities. Please note: the Canada Entrepreneur Program and Federal Investor Program have been terminated - only their Quebec counterparts remain active. The Quebec Application for Selection Certificate requires an extensive amount of documentation be submitted to support the investor file. All documents must be submitted in their original language and must be in the correct format. Documents submitted in a non-conforming format may result in the rejection of an investor application or the return of the document to the sender. All certified true copies and photocopies must be of excellent quality or immigration authorities could deem them inadmissible. Certified true copy documents require an authorized person, such as a notary public, to compare the original document to the photocopy. The authorized notary must then print on the copy "I certify that this is a true copy of the original document" along with their name, official position or title, signature, name of the original document, as well as the date of the certification. The applicant is totally responsible for the truthfulness and accuracy of all information and documents submitted in support of their application, including any documentation provided on their behalf by an authorized person. Please be advised that immigration authorities in Quebec may independently verify the accuracy of information provided on investment immigration applications with third parties. Any false or misleading information given in relation to Canadian immigration for investors is an offense under the law, and the applicant may be liable to a fine, refusal or rejection, or even the cancellation of their Quebec Selection Certificate (QSC). The following documents are required as part of a Quebec Immigrant Investor Program application. Forms, declarations, investment agreements, and appendices must bear original handwritten signatures. Valid passport from country of birth, and any other country where citizenship is held including second passport jurisdictions. Required for main applicant, spouse, and all dependent children, and must include all pages in the passport, even blank ones (photocopy). Declaration of parental consent authorizing child to immigrate to Canada. This document must be made before a judge, officer of the court, government employee, notary, diplomat or consular representative from country of citizenship, or a magistrate, and must include their signature and professional seal (original). Attestation of recognized French test results or recognized diploma in French for principal applicant, which results in priority treatment under the Quebec Investor Program 2018. Recognized tests for demonstrating intermediate-advanced level French including TEF, TEF Canada, TCF, TCFQ, and TEFAQ (photocopy). Professional valuation report for property holdings prepared by an accredited natural or legal person indicating separately the value of land and the value of buildings. Real estate valuator must hold a license from competent authority, and report must describe all sources of data as well as valuation methodology (original). Proof of payment of purchase price of real estate as well as any taxes. Receipt must include purchase date (photocopy). Additional purchase agreements reflecting full purchase price transacted between parties, if property was bought or sold in a country where documented real estate purchase prices are based on government valuations that differ from fair market value (such as Vietnam, India, Iran, etc.) A written declaration indicating the effective purchase amount can also suffice (photocopy). Personal income documentation in the name of principal applicant or spouse, endorsed by appropriate government authorities such as tax office, employment insurance, or pension fund. Income amounts must match personal income declared in narrative document of investor application (photocopy). For companies with one or more subsidiaries or a partnership, reports on the review engagement on financial statements or consolidated financial statements. The reports must contain a balance sheet, cash flow statement, profit and loss statement, and statement of retained earnings for each year. Accounting information must include a full breakdown of balance sheet items, revenue by business line, operating costs and administrative costs such as payroll, nature of activities, range of products offered, address of all business locations, organizational structure, existence of inter-company loans including their nature and recoverability, existence of company sales or loans with related parties, ownership and use of buildings valued on the books, and tax regime that applies to company. Additionally, reports should include accounting methodology and principles used to determine value of inventory, identification of fixed assets, and annual amortization of assets by category (original). For inheritances, certificate of death as well as notarized will or court judgment confirming the nature of the inheritance. Documents attesting to the transfer of funds or assets to the heir are also required (photocopy). While the Quebec Immigrant Investor Program document checklist is clearly extensive, a legal team will work alongside clients to ensure they can procure all necessary documentation in the easiest manner possible. Our partner law firm is entirely committed to the success of their clients, and will help guide them in an effective manner through each step of the investment immigration process. What Proof Is Provided That the Investment Has Been Made? Once an applicant has been conditionally approved for the Quebec Investor Program, they will receive transfer instructions so that he or she can wire the appropriate funds to the financial intermediary (FI). Once the investment is officially made, the Government of Quebec will issue a term note to the financial intermediary who will then provide the applicant with a copy. After five years, the financial intermediary will return the original term note to the Government of Quebec who will then return the money to the FI. What Happens If I Die During the Process? Immigrant investors who pass away during the QIIP application process will have their application canceled. In cases where the investment has already been made, the funds will be returned to your spouse or estate in approximately 30 days. Once Canadian Permanent Residency has been issued through the Quebec Investor Program, the death of the main applicant will not cause his or her family to lose their immigration status in Canada. In such cases where the investment was not financed, your family will need to provide evidence to the financial intermediary that they are the rightful heirs to your estate in order to receive the funds after the five-year period has ended. If you are interested in Canada investment immigration under the Quebec Investor Program, contact us today for a private consultation.